We come across situations where we need to urgently need to display notices on a screen. For areas like railway stations and other such busy facilities the station master/announcer need not have to type in every announcement message manually on the screen. So here we propose an innovative android based notice display system that allows the user to display notices without typing them in manually. Here the announcer/administrator may speak out the message through his/her android phone, the message is then transferred wirelessly and displayed on the screen. 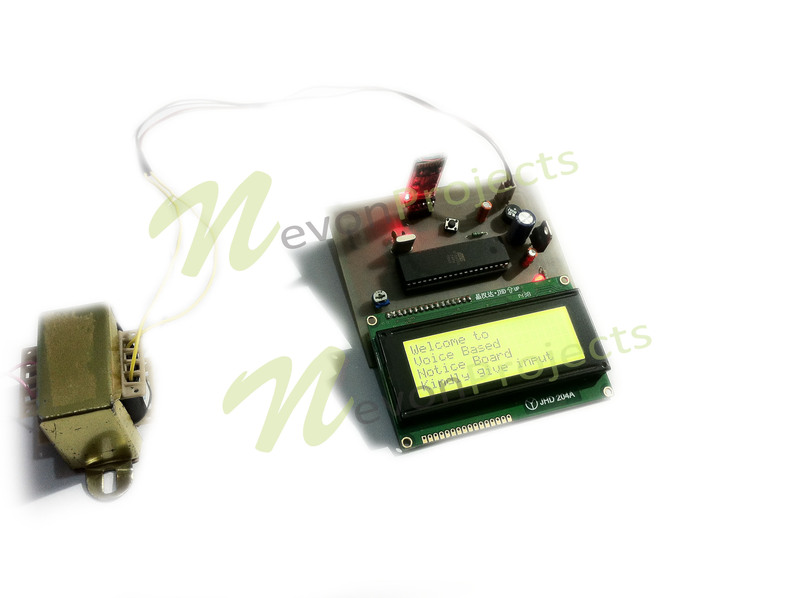 To demonstrate this concept we here use an an LCD screen to display messages. 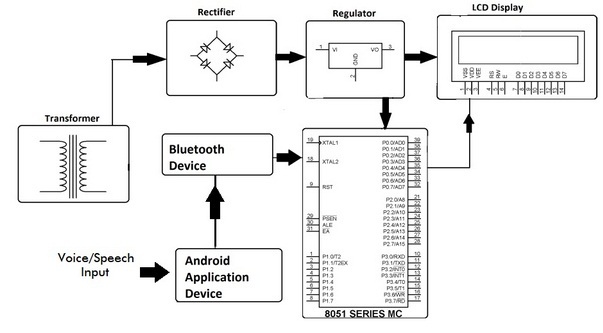 The LCD is interfaced with an 8051 family microcontroller. 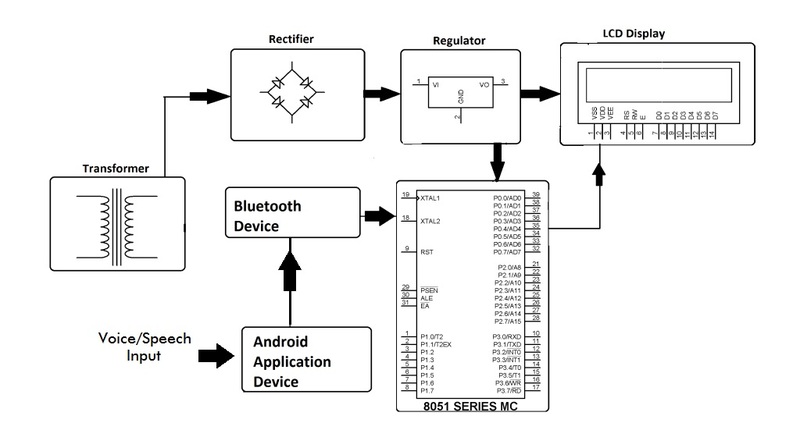 We also use a Bluetooth receiver to get the android transmitted messages, decode them and send them to the microcontroller for further processing. 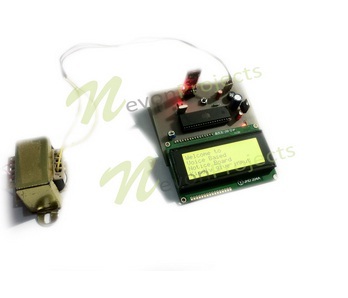 The microcontroller then displays the message on the LCD screen. The entire circuit is powered by a 12 V supply through a transformer. This innovative system can be used in a variety of places including railway stations, schools, colleges, offices for displaying emergency announcements on the screen instantly by just speaking out the message instead of typing it in each time. So this is how voice based notice board project is very useful in various organizations.